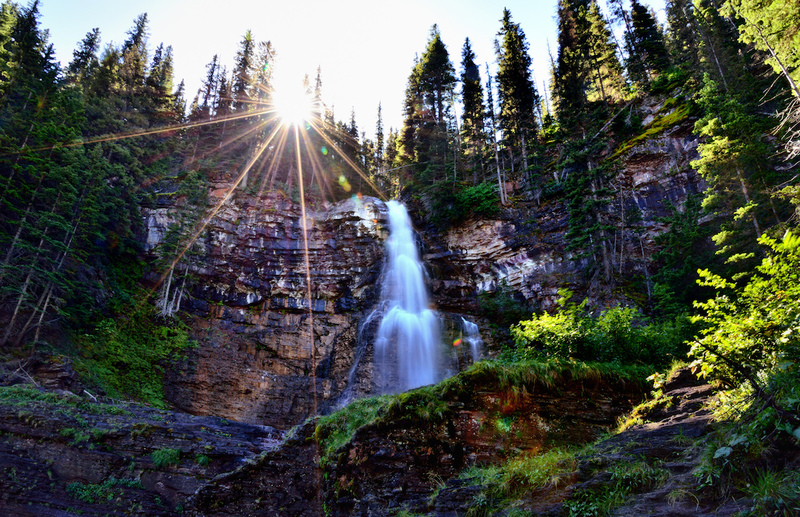 Virginia Falls is an 80-foot-high waterfall at Glacier National Park that you can easily walk to. This 80-foot-high waterfall sits nestled in the eastern section of Glacier National Park, as is accessible via a short hike off the Going-to-the-Sun Road. For notes on how to navigate the hike to Virginia Falls, visit this page at Hiking Glacier. This video will show you what it’s like to travel by foot to this beautiful waterfall.